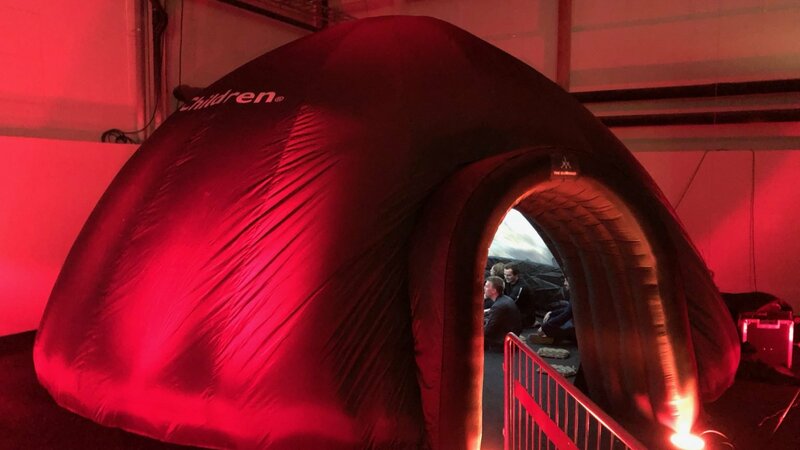 Nearly 4,000 people experienced immersive storytelling in Save the Children’s GeoDome Theater at last month’s DreamHack conference in Sweden. Save the Children’s virtual reality content engages audiences in the stories of children their programs have helped. 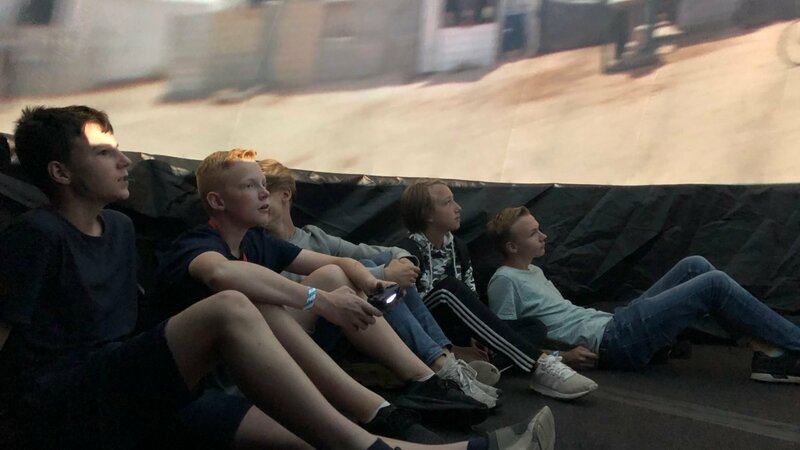 Inside the GeoDome, groups of people experience the content together, without the need for headsets. With WorldViewer, audiences use a gamepad to choose stories from a global context and explore the lives of children in places as diverse as Syria and Tennessee. We helped Save the Children integrate their 360° video into WorldViewer, training their team in the process so that they can easily refresh content with new stories. 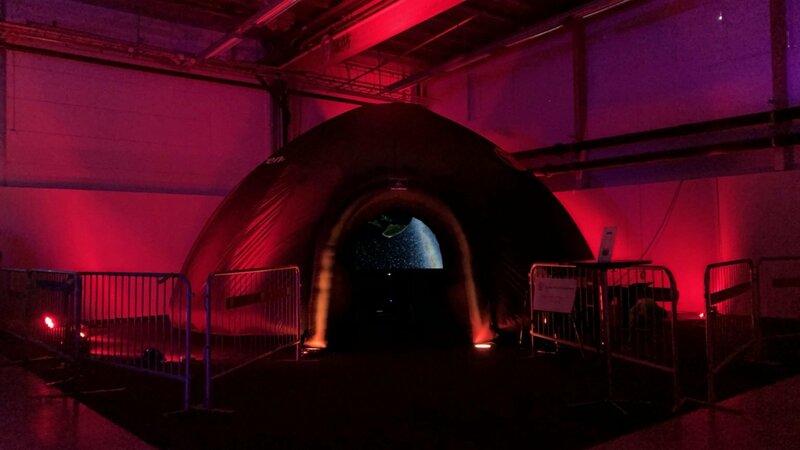 Their GeoDome Theater uses an OmniFocus projection system with 2560×1600 resolution at 5,000 lumens, integrated into a rugged housing with audio for a quick one-person setup. A branded cover for the 25’-diameter Theater ensured that STC’s presence was prominent even in the bustling trade show environment. 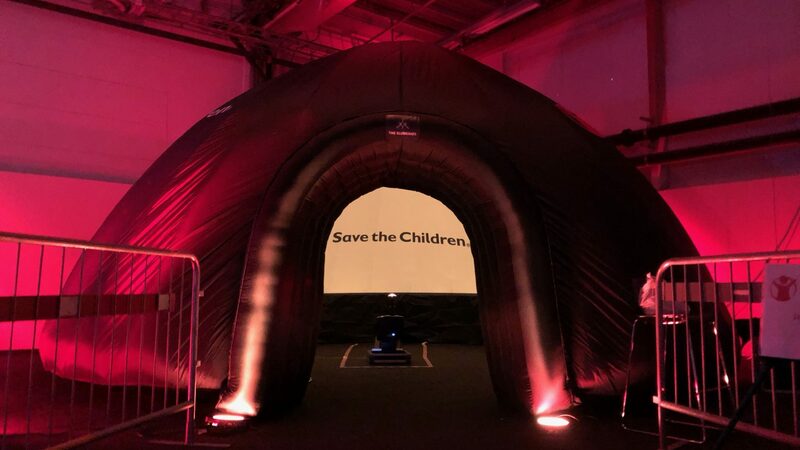 Save the Children US has been selected as DreamHack’s official charity partner, and plans to bring their dome to future DreamHack events in the US and beyond. It’s an honor to see our technologies support such an effective organization in their mission to provide health, education, protection, and emergency resources for children around the world.